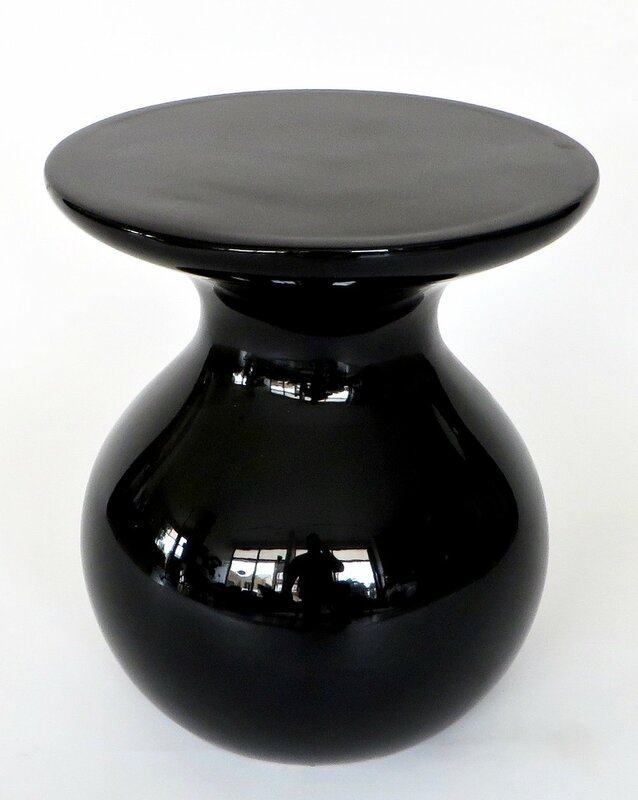 A pair of black ceramic side tables "Solo" by French designers Garouste and Bonetti, signed with the cachet BG. Made by Faience de Charolles, 2001. Excellent condition with no chips or cracks or restorations.